I came across this recipe early in the year and bookmarked it. I decided I would make it when I was in a celebratory mood. My Juli turned 1 1/2 this passed weekend. Her half birthday was on Saturday. 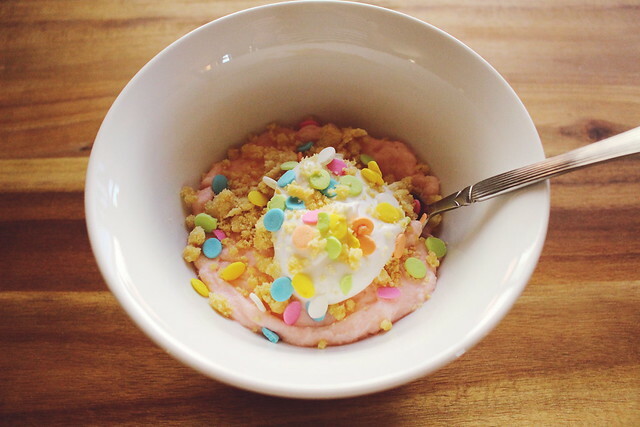 The perfect occasion for a mini celebration in my breakfast bowl. 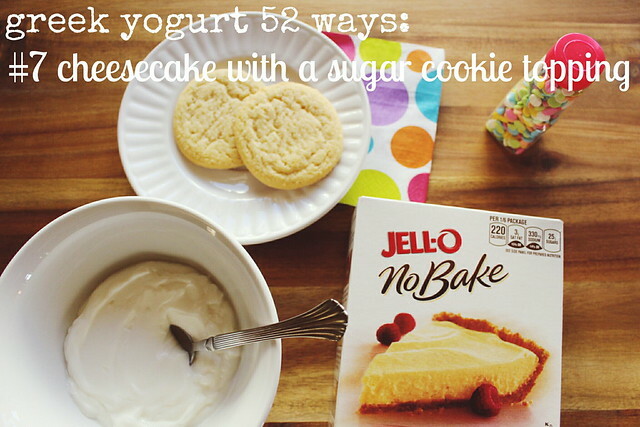 For this Greek yogurt concoction, mix 1/2 c of Greek yogurt with instant Jell-O cheesecake mix. (I used about 2 tbsp. of the mix). Add a tiny bit of red dye to make your yogurt pink. (Celebratory mood, remember?) Take 1/2 of a sugar cookie (depending on the size of your sugar cookies), and make a crumble by smashing it. Use your hands. (I did). 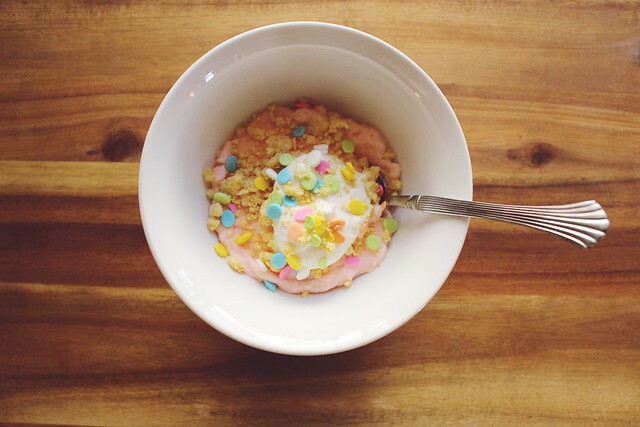 Top your yogurt with the sugar cookie crumbs, a dollop of light, whipped cream, and sprinkles. (Sprinkles are a must when celebrating). Fun, right?? Fun and tasty and a light(er) option. Win!